Working throughout the Malvern area, Fencing Solutions deliver a wide range of fencing services including residential or domestic Garden fencing through to a comprehensive array of security fencing solutions. In addition to our end to end fencing solution services we are now pleased to announce our Post Rammer Hire Service. Clients and customers in the Malvern area can now rent our post hammer with operator by the hour or day. Saving time and money, hiring our “Man with a Rammer” is an extremely cost effective way to get your fencing job completed in as quick a timeframe as possible, so why not book us today! The Rammer also comes with a borer attachment to help facilitate deeper or higher fencing solutions and provide added rigidity to your job. 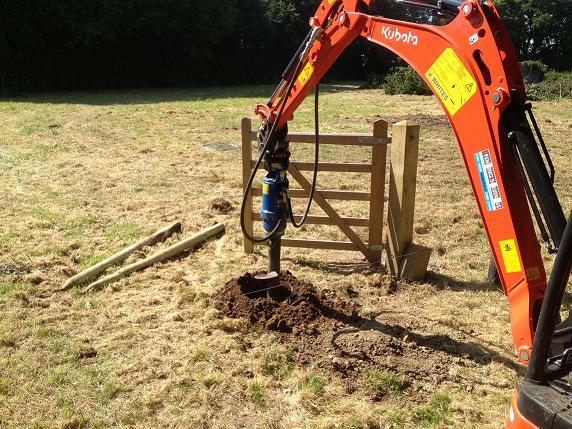 Our Post Hammer Hire is ideal for emergency fencing works or repairs and for completing urgent installation of Farm or perimeter fences. See the full Exac-1 Post Hammer Video below. Video provided courtesy of the manufacturer.